Seattle will begin taxing operators of short-term rentals, such as those listed on Airbnb, the City Council decided Monday. The Seattle City Council voted Monday to tax operators of short-term rentals, such as those listed on Airbnb. Beginning in 2019, the city will impose taxes of $14 per night for entire homes and $8 per night for rooms. In addition to paying for the city to set up and administer the tax, the proceeds will be used to support community-initiated development projects and create affordable housing, according to the ordinance. The council was scheduled to also vote Monday on regulations for the short-term rental industry. But Councilmember Rob Johnson persuaded four of his colleagues to join him in voting to refer that legislation back to his land-use committee for additional discussion. As now proposed, the regulatory ordinance would require all short-term rental operators to obtain a license and would cap the number of short-term rentals operated by a single person or company at two. 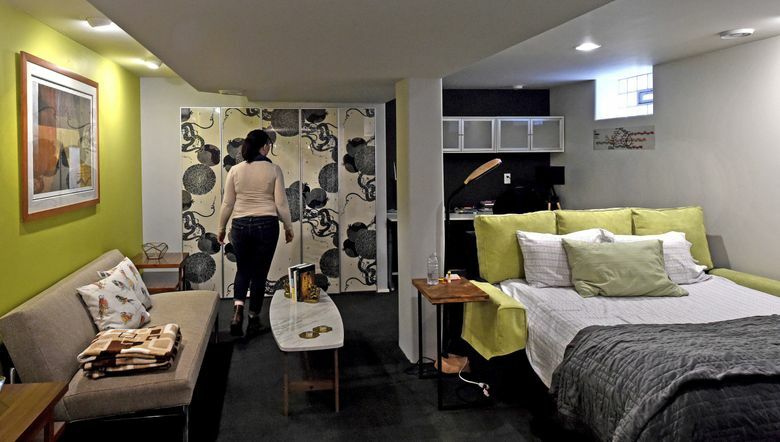 People and companies operating short-term rentals before Sept. 30 of this year in an area including downtown, Uptown and South Lake Union would be exempt from the cap. There may be debate at the committee level about where the boundaries of the exempted area should be and whether listing platforms such as Airbnb should pay fees.